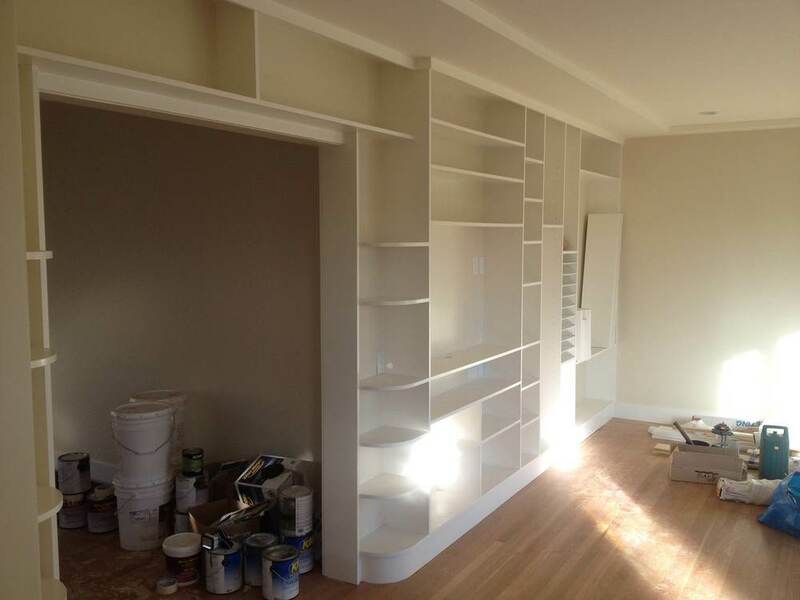 We designed and built this full-wall shelving unit for a wonderful retired couple in Berkeley. They wanted a space saving design that fit nicely with the style of their early 1900s home. We melded craftsman style with a bit of art deco to create a piece that looks like its been there for years. The lines are clean and not overly symmetrical, with simple ceiling trim that mimics the raised ceiling. 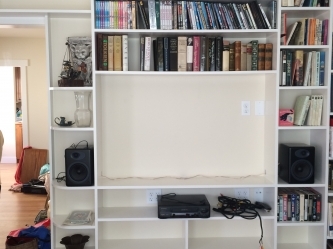 The shelf spacing was based off of the owners' most common book dimensions, so as many books as possible can fit on the wall. 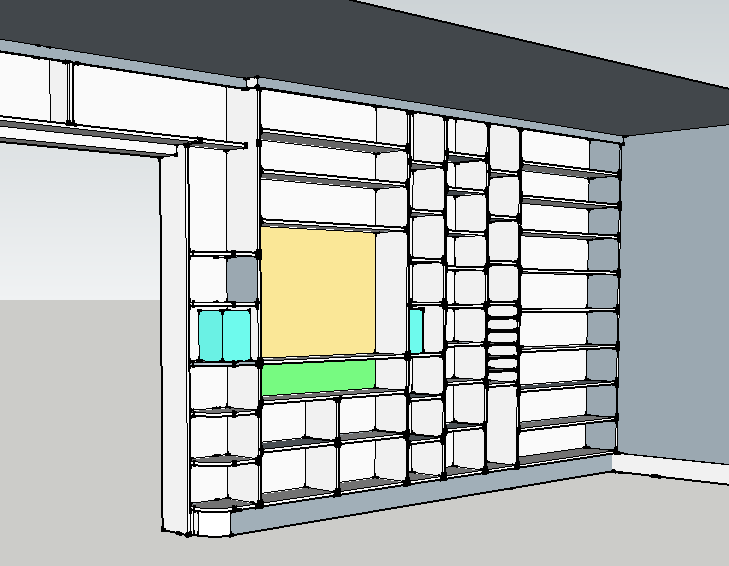 About a third of the shelves can be moved to adjust height as needed. One section of the unit has very closely spaced shelves specifically sized for sheet music, and placed so as to be easily accessible when one is seated at the piano. Openings for a TV, speakers, audio equipment, and other specific items were designed into the unit. 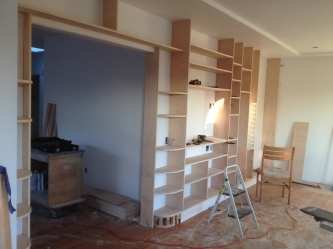 Curved open shelves and shallow overhead shelves nicely frame the doorway into the dining room.